I have a 2015 Cypress Cay Seabreeze with a Mercury 90hp four stroke. 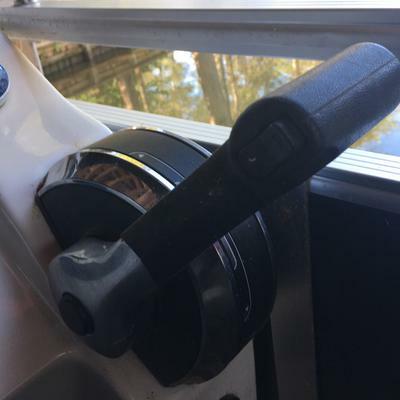 When cruising around at half throttle, the lever stays put and I can let it go, But if I want to go a little faster, I have to hold the throttle in position. As soon as I let It go, it eases back to half throttle. It gets annoying after 5 minutes, let alone 15 or 20. Is there any sort of adjustments I can make so that it stays where I put it? Thanx I have Attached a picture of the throttle, in case it might help.